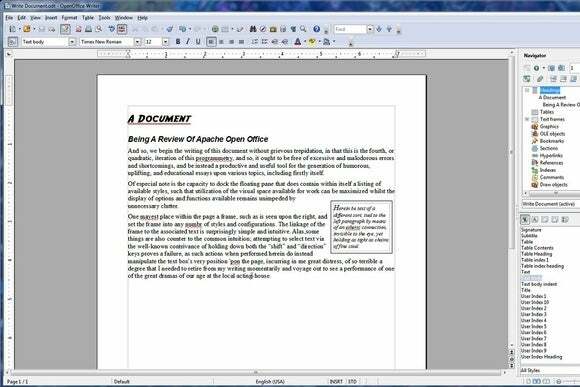 OpenOffice used to be the best free alternative to Microsoft's Office, but now it seems to be falling on hard times. Development on the open-source productivity suite is down to just 16 people, according to a report last month by LWN.net, with 381 changesets over the last year. By comparison, LibreOffice (another open-source Office alternative) saw 22,134 changesets from 268 developers. A recent draft report (via ExtremeTech) to the Apache Foundation board, which oversees the project, paints a bleaker picture: OpenOffice currently doesn't have a release manager, and is short on mentors that can help new volunteer developers get started. While OpenOffice's support channels remain active, the report admits that new development is practically non-existent. The impact on you: If you're using OpenOffice today, it's not just going to disappear, but the lack of contributors and a release manager means that new versions are slow-going. The last OpenOffice release, version 4.1.1, came in August 2014, and there's no word on when 4.1.2. will arrive. LibreOffice, meanwhile, has seen one or two new releases every month over the last year, making it the obvious choice for users who want routine updates. Now that the politics behind the split are history, perhaps it's fitting for the two open-source Office alternatives to merge back into one.